On Sunday the 18th of September we will be attending the Mummy Tree Markets. The Mummy Tree Markets are a little bit different to what you may expect…Established in 2010 these markets are not second hand markets or just a baby market, nor are the markets 100% handmade. These market are a boutique family market, providing quality, unique products and services which are not mass produced or easily found in shops. We are so excited to be apart of this big event and can’t wait to meet you all there. The Markets are being held at a brand new exciting location this month! They will be at Hawthorne Park the home of the Morningside Panthers located between Riding and Hawthorne Roads. The market will be held in the carpark which sits between park areas and trees. Hawthorn Park has specifically been chosen for families with children, with the park nice and close it is a great opportunity for the kids to run around and have a blast! There will be multiple food and drink options as well as a great quality onsite cafe. Hawthorne Park is a very popular location so there are lots of options within walking distance. It looks to be a great family day out! Because of the location, there is only street parking available. On the day we will be offering our sought-after $500 Gift Certificates for $80! This is a great saving you won’t want to miss out on! Come down to the markets on Sunday the 18th of September and we will tell you all about it! 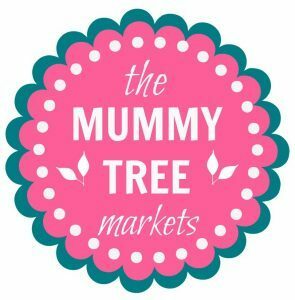 For more information about the Mummy Tree Markets in general, head to http://themummytreemarkets.com.au.